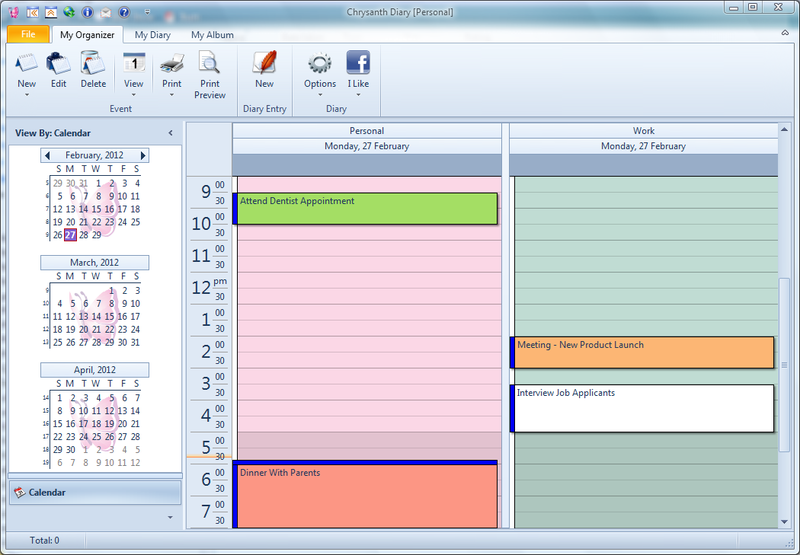 Get Chrysanth Diary for FREE now, we promise that you will rediscover the real sweetness of diary writing again. Nevertheless, we also know that while it’s easy to start keeping a diary or journal, it’s even easier to abandon diary keeping! 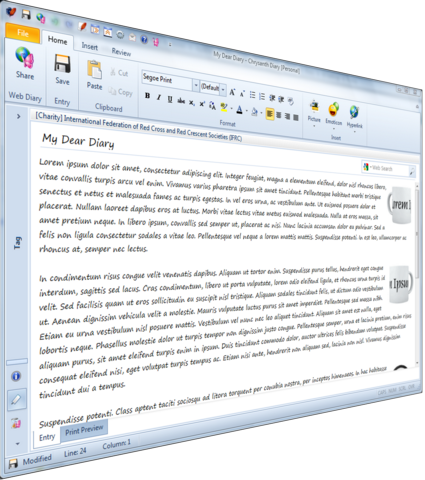 That’s why we created Diary, a diary software that is designed solely around diary writers. Diary is designed to be secure and easy to use. You could start with a password protected diary database that stops every possible prying eye. With a powerful yet easy-to-use diary editor, you could literally unleash all your mind into expressive words in no time. And we also understand your need to keep all your most precious memories together. 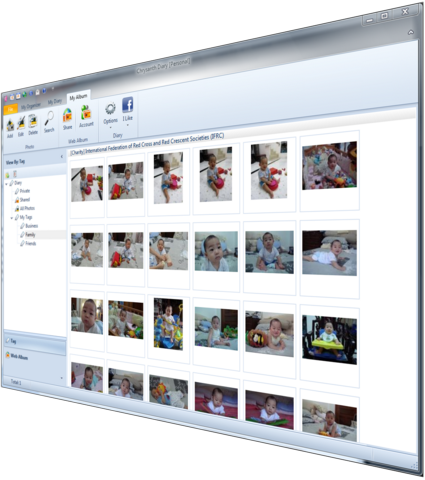 We heard your voice and we decided to give you the best diary software that comes with an integrated photo album. You will find it even more tempting to access Diary at anytime, not only to write down all that’s worth to be kept, but also to indulge yourself in those best times that you have ever had by browsing your timeless snapshots of sweet memories. That’s why many of our existing Diary users found it effortless to keep diary writing with Diary this time, even though they had previously abandoned each hardly mustered determination when they vowed to begin diary writing . If you are really serious about diary writing this time, give yourself a chance, start with Diary and never call it quits, you will see it through this time with all pleasure of diary writing rediscovered. Reward yourself for your last diary writing determination, download Diary for FREE now! 51 Comments Login and add yours too! 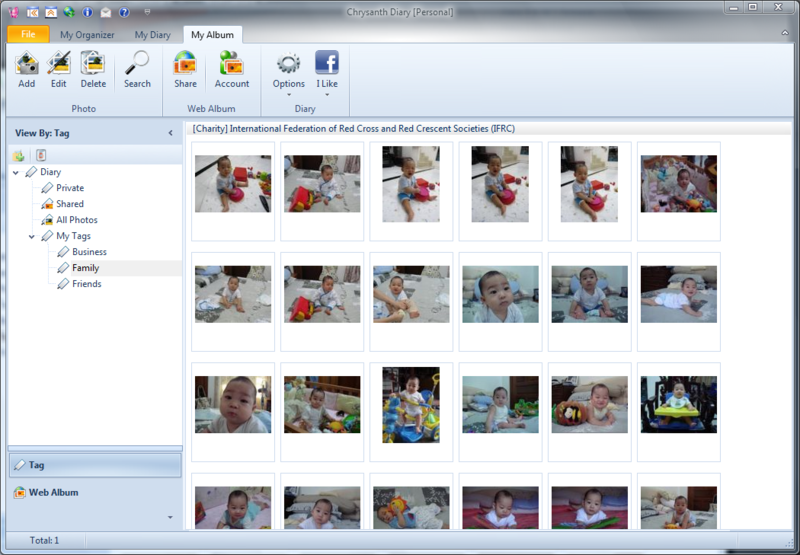 Around a year ago I had installed Chrysanth on my Windows laptop, and had added a lot of personal notes and pictures. Just recently, that laptop was stolen and its unlikely that it will be found. I would like to know if my personal notes are synchronised online, so that i can recover them. If not, is there any other way i can retrieve my notes? Hi Shikhar, it depends. If you had created and shared your entries to either Private or Public Web Diary, then you may be able to retrieve your entries. I am really happy to found this. im enjoying it so far. loving it so far! is there a way to do put video clips into entries? I like to mention certain songs that relate to my day and it would be cool tobe able to embed video or a single track player. Hi, quick question … Is this website free??? N is my diary visible to everyone…? Cos I don’t mind people reading it, I might even find some who will help me with my issues n life problems..!! 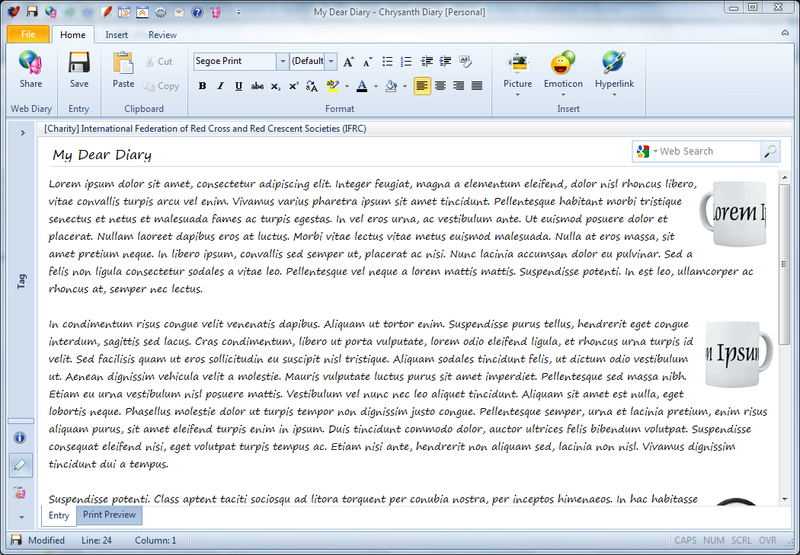 I have just installed Chrysanth Diary Personal and I am wondering if you can tell me if there is a way to keep all the Journal entries in one file, such as RTF Word, where you could look at all your entries in one place or at least be able to Print all journal entries to one word file? Hi Johnny, Diary [Personal] is already storing all journal entries in a single diary file, and with Diary [Personal] you can print all the entries. I’m having a similar problem. I paid for the diary so I could use a personal diary. How do I get it activated so I can use the personal diary? Please sign in your My Dear Diary account and visit http://sns.deardiary.my/wp-admin/admin.php?page=cs_download or via the navigation on top, My Account->Download Full Version. Please do not hesitate to contact me again if you still can’t get your full version. I paid for an account because the free account had lines through my diary. Now that I signed up for the paid account I see everyone’s diaries. All I wanted was a simple private diary. I would like to cancel my account. Hi Darcy, I think you may have misunderstood the web diary with the desktop diary software. Dear, this is great. what language did you use to develop this great software? good luck dear. Thanks for your kind words ^_^ You are not able to change theme for the free edition for now. Best program i find after a long time.Thanks for this wonderful software. If you love Diary, you may click at the Facebook Like at the bottom of the main page and upgrade to Diary [Starter] edition, which offers additional goodies like password protection and more. my can u download the feature? I notice the description: “Diary of Sweet Memories”- which is a lovely thought, but not all of us have such sweet memories! The good old days weren’t all that good sometimes. A diary/journal can help, though! The action of writing helps one feel validated and to realize their own strength. A diary is a helpful friend for the soul of a survivor! im loving the pink feel to this diary software thats the main reasons i started looking at it, as well as the fact that i keep a diary lol.. but would love to be able to download some pink themes as altho its got a lot of pink features to it the actual theme is blue i know if you upgrade you can change a lot of things then but at the moment im not in a position to be able to buy the upgrade but as soon as i am i will be, but it would just be nice to have at least a hand full for the free accounts. anyways this really is amazing and im glad i found it. i will be telling everyone i know and i have already put a post up on facebook about it. thank you sooo much for taking the time to create something like this. how do u change the theme? I’m still thinking about using this program. I like the features but the price for the premium is simply too steep for the functions and I simply cannot afford it on disability. Thanks for the opportunity to check it out, however! Beth, I am glad that you like it. 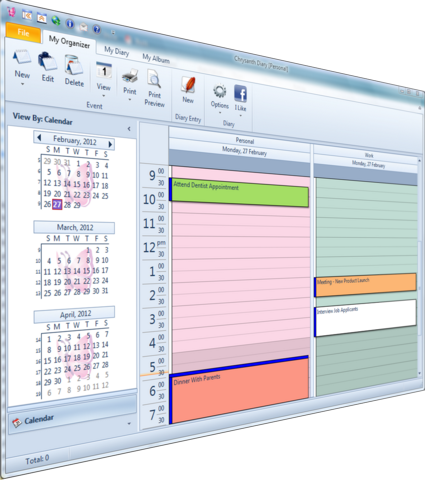 What Diary excels is in the very details of the same features that other similar products implement. You will surely find that Diary [Personal] is polished in some details that others don’t even know. a punto de probarlo .. solo espero que sea facil de usar y que funcione de maravillas asi como se ve en la propaganda , se ser asi seria lo maximo ! What a great program but what a shame that you can not download the premium features for free also.